“Jurassic Time” celebrates its 10th Anniversary of the “Jurassic Time: The Memoir Of John Park Hammond” with an updated video edition. Experience Richard Attenborough’s masterful, nearly-lost performance of John Parker Hammond: the tragic man whose dream of bringing dinosaurs back to life came true; before being swiftly ended. 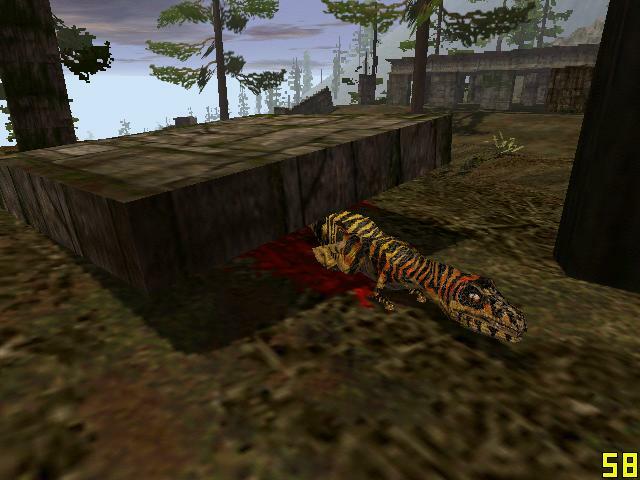 Cobbled from the ill-fated Trespasser- The Lost World: Jurassic Park PC Game, and featuring amazing music by Bill Brown; you’ll feel like you’re right beside Hammond as he makes his journey across Isla Sorna, playing “God” in the laboratory, and recounting how he felt after the fateful incident at Isla Nublar. It’s a compelling and introspective tale you will never find in the novels or films. In this special video presentation of the “Anniversary Edition”, with the immense artistic talents of Felipe Humboldt, Hammond’s words are heard against fantastic sketches that illustrate his entire story! In addition, there are numerous stills from Jurassic Park and The Lost World: Jurassic Park tinted and framed deliberately for dramatic effect. We “spared no expense”! What also sets this edition apart from all that have come before is incredibly substantial. Thanks to the discovery of a source that contained Attenborough’s recordings; without its misty “echo/memory effects” that plagued the original and beta game files, we can now hear the vocal performance clearly for the very first time. After a decade of prior editions, and almost two decades hearing it this way straight from the game itself; this is an important milestone in perserving this experience. The entire Hammond Memoir has been rebuilt from the ground up in order to take complete advantage of this fantastic find. Those familiar with previous editions and the game will find the clarity of Attenborough’s delivery practically startling at first. To focus on the voice, no additional sound effects were included except in two brief moments. However, there are some lines of dialogue where the sound effects mixed in by the game designers are still left in; but now in much better quality. You’ll also discover newly-created additional tracks that precede and conclude the entire program.